My speeches are infotainment style. They are motivational and fun. I strive to educate and engage the audience and get them thinking. If I am given enough time I can create a speech just for your event. Currently I am the Marketing Director of Web Alliance International Agency, LLC., a traditional & Internet advertising & marketing agency. In addition, I was a College Instructor for 18 years where I taught classes in How to Start a Business, Advertising and Marketing, Website Design and Marketing to name a few. 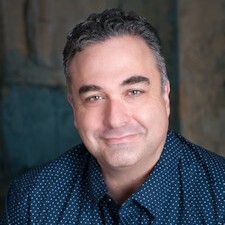 Find out more about Thomas Forgione, Author & Consultant at http://goo.gl/oxTPcx.